I’m delighted to share that I have been selected as a speaker for this year’s 2018 Own It! 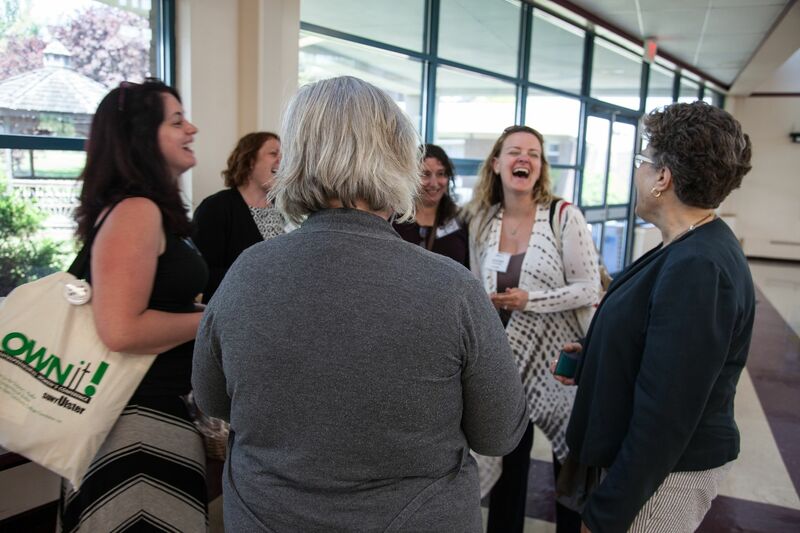 Entrepreneurial Women’s Conference in Ulster County, NY at The Darlene L. Pfeiffer Center for Entrepreneurial Studies at SUNY Ulster. My workshop is entitled, “Know Enough to Be Dangerous in Social Media Marketing.” Stand out in the marketplace and grow your business with concrete tools and tips that will help you to know enough to be dangerous — in a great way — with social media marketing. Social media is easily accessible but can be very complex to use it well to market your business. It can also be detrimental to your business if not used well. There are many tools available to help entrepreneurs — so many that it can be overwhelming to know where to start. This workshop will help you break through the madness and learn enough to be considered dangerous — in a great way — with social media marketing. Knowing which social media to use to market your business and how to best use it can be confusing for many, especially because the landscape changes so fast and often, and can be quite noisy. Facebook, Twitter, Instagram — which should we use and why? We’ll look at these outlets, as well as some great tools that will help your posts look professional, be engaging, and timely. In addition, we’ll review some automation tools that are available, but more importantly, we will focus on the pros and cons of content automation. A live assessment of two attendees social media channels will be offered, along with offering tangible ways they can improve to better engage their target audiences. Attendees will leave the workshop knowing which social media outlets are worth the investment of time and will reach their target audience; master a handful of tools that will make their social media posts look professional and stand out; and will learn about the pros and cons of using scheduling tools to automate some of your content. As a female entrepreneur in the Hudson Valley, as well as a New York State Certified Women-Owned Business Enterprise, I’m excited to share my experience and expertise in social media marketing to help other female entrepreneurs thrive and grow their businesses in the Hudson Valley. Should you jump on social bandwagons?